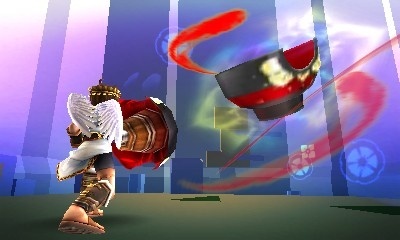 This game takes place after the events of the original game, chronicling Medusa's return from the original Kid Icarus. In fact it's kind of surprising that Sakurai is referencing the original game at all as Nintendo games aren't exactly known for their continuity, Metroid aside (you could argue Zelda but the timeline is so convoluted that it might as well be dismissed). The original game isn't the only game that's referenced in Uprising as the game displays a level of self-referential humour to the point where it becomes the closest Nintendo's ever got to making The Secret of Monkey Island. The humour isn't the only departure for Nintendo. When the first gameplay videos were shown, some critics noted the similarities between this and Treasure's Sin & Punishment. These parts are rather justified (especially with the release of Sin & Punishment 2) as there is the dual control of moving Pit/Airen around the area to avoid being hit as well as moving the reticle to stop the monsters from hitting you. However these sections only cover half of the game; the other half involves ground-based combat where the game becomes a hack and slash title with a nice variety of settings, puzzles and situations to traverse through. This kind of exploration through the Icarusian world allows Nintendo to be their most creative in decades. Flying through dark caves, soaring into open skies and diving straight to the heart of Hell itself are just a few of the locales explored over 25 levels of gameplay. However, navigating these levels would be pointless if you didn't have any weapons to defend yourself! Kid Icarus: Uprising has hundreds of weapons to choose from, all available through the "hearts" currency featured prominently throughout the game. When you complete a level you gain an amount of hearts depending on how well you did. This amount is then amplified depending on what difficulty you played the game on. These hearts are then fed back into the game as currency to buy more weapons, adjusting the difficulty of the game accordingly and as sacrifices to Palutena with unknown consequences (And this doesn't even mention the idol toss and AR battles options). 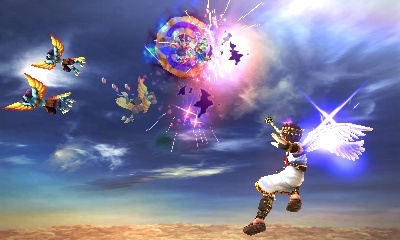 Also in the game are Nintendo's version of achievements which work like the system in Super Smash Bros. Brawl. These achievements are also rewarded with weapon and hearts that give a cyclic nature to all of the bonus features of the game which allows for a lot of content without feeling drawn out. 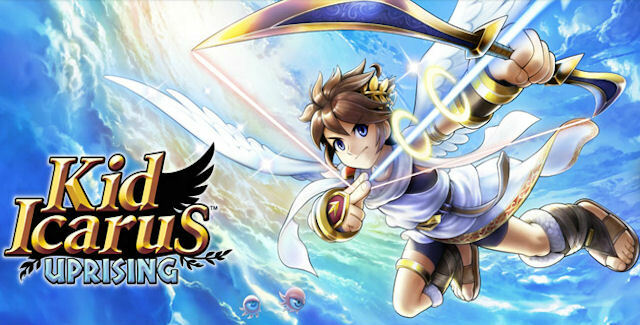 In short, Kid Icarus: Uprising isn't perfect; the controls take some getting use to, the plot becomes rather convoluted especially in the middle (although the dialogue more than makes up for it) and there are other flaws with the game. That being said, these flaws are proof that Uprising is one of the most creative titles that Nintendo has released in the last quarter of a century as well as being my personal favourite game on the 3DS. Thanks for the interesting review, seems like a good a enjoyable game even though it has some flaws.